I work with small, independent distillers who apply labels by hand and large, international-scale producers with fully-automated bottling lines. The implications vary greatly for what’s possible and what’s practical in setting up a label design, selecting substrates, die-cut shapes, selecting bottles and more. A single, wrap-around label is printed and setup differently than a front-and-back, two-piece configuration. Some things are virtually off-limits for automated lines and other things are highly impractical for hand-labeling lines. They each have their advantages and disadvantages. 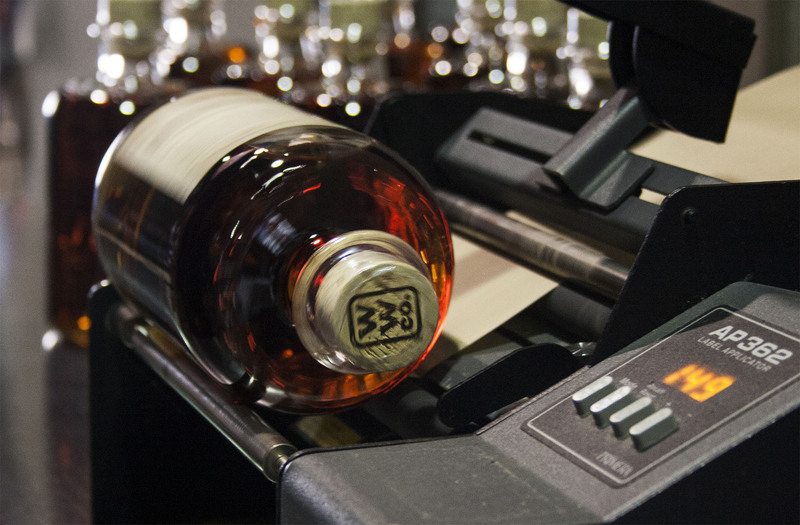 Consistent alignment can be tricky by hand, but it’s a cinch when using automated or even the much more affordable semi-automatic label applicators. 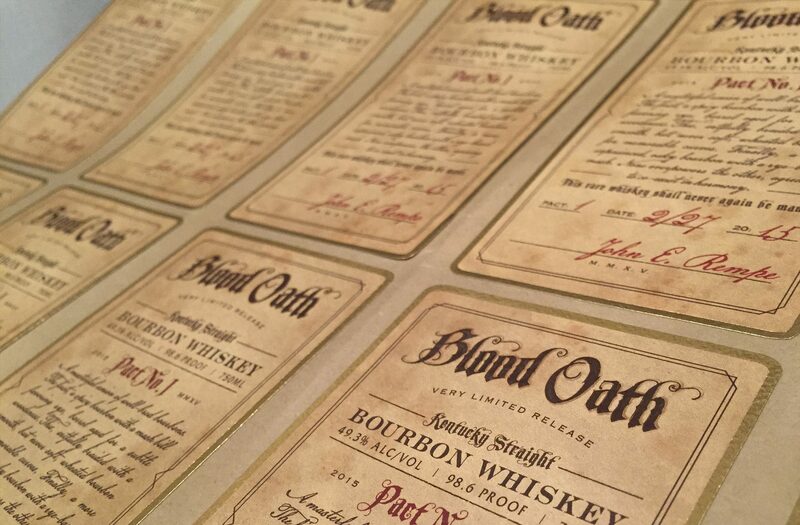 But hand-labeling often allows for a greater variety of interesting finishing details such as neck labels, “tax-stamp” style closure strips, badges and other add-on features. At the center of these differences is the technique used to remove the labels from their backing and the equipment, if any, used to apply the labels to the bottles. I’m happy to share my experiences and thoughts on these issues for anyone who finds themselves weighing the costs and benefits of each. For a great look at more detail on both the equipment and the considerations involved in selecting a technique, here’s a great article, recently posted by one of my favorite Western-Washington label printers.